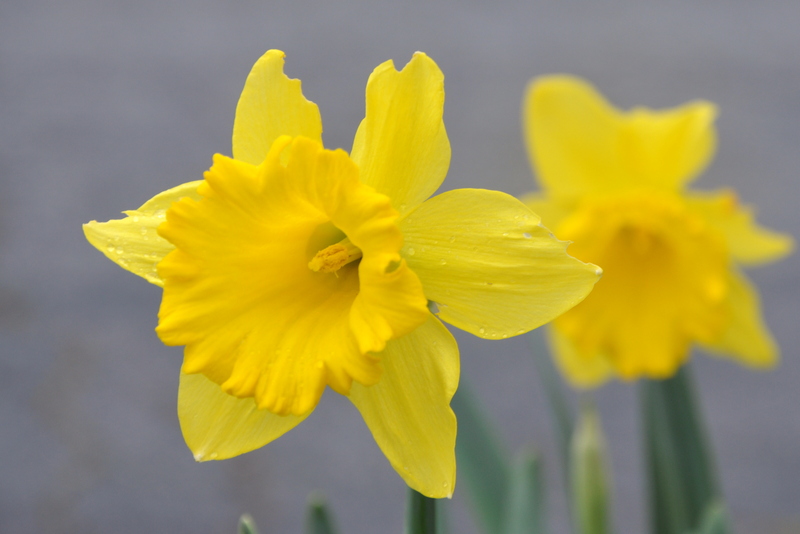 This entry was posted in Gardening and tagged daffodils, Gardening, growing daffodils, Home and Garden, narcisus, spring bulbs, Thomas Rosehands, William Wordsworth. Bookmark the permalink. Thank you, Linne. 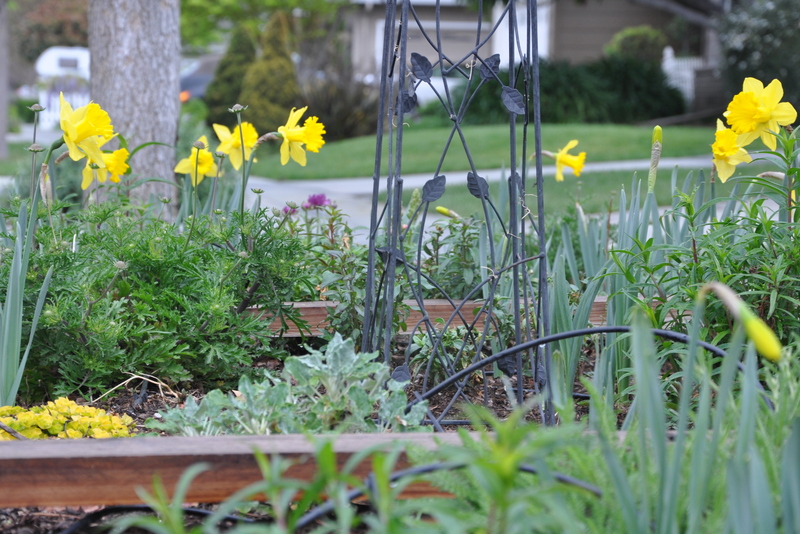 I went back and forth on the curb garden idea, and even put up a poll on my blog a year back. In the end, I went for it. Between that garden and our Little Free Library, it makes for a lovely front yard. Sorry to worry you over the daffodils. I just love them. Sorry to hear about the snow. It’s been a cold, cold winter for many of you. 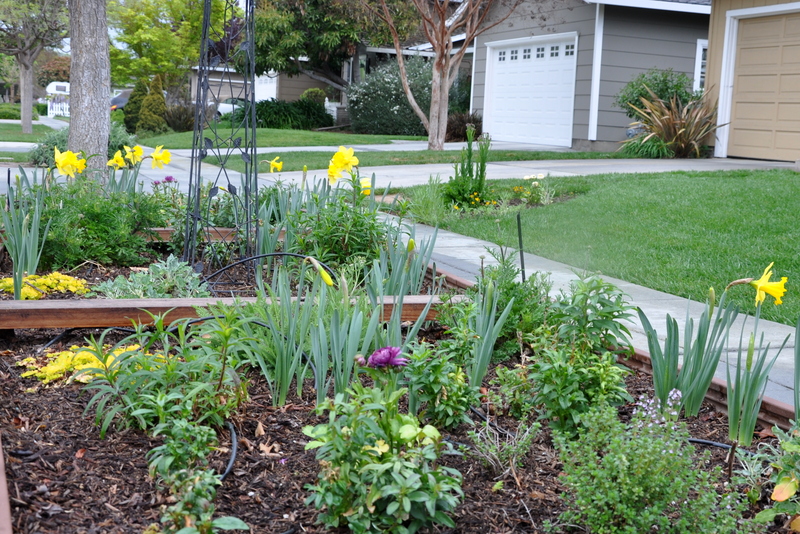 We’re ridiculously spoiled living in California, but we’re suffering a terrible drought. True harbingers of Spring aren’t they. I love that they take all that summer sun into their little bulbs, tuck it up in the good earth and keep it cosy all winter long and then, seemingly from nothing, leap forth in all their sunny glory to announce the imminent return of the warmer days once more. Fab-u-lous!! I’m with you, Pauline. That’s what I remember too. The lines are beautiful, though. I enjoyed listening to the poem all the way through. There have been so many wonderful comments about daffodils on this thread. They seem to resonate with a lot of people. Isn’t it beautiful? How lovely to have that memory, too, of wild daffodils in the field. I can see why you would recall this poem. I love that story. Daffodils on desks and tables and in the field. I’m planting more next year for sure! I love how they multiply themselves too, you start with only a small amount of bulbs, and in a few years, you’ve loads! That is great news. I didn’t realize they divided so quickly. You are full of wonderful info. Thank you. OMG, I was sweating bullets over here thinking that something horrible happened to your Daffies. Thank God they are all ok! I know that last year we had a horrible time with some of our garden seeds being dug up and eaten, but I heard that you can bend some small holed wire to place over where the bulbs or seeds are to keep the critters out. One thing that did work for us last year in our garden, is that we cut off the bottoms of Creamora bottles and placed them over the little seedlings coming up. It kept the Chippies away! ❤ P.S. – Do you have any deer in your area? Great idea covering the plants so they can establish unmolested. You have to stay one step ahead of the foragers. We live in the suburbs so no deer to speak of. I see them on our hikes though, and find them so beautiful. We have opossums, rats, mice, (by night) and squirrels by day. You are so lucky to not have any deer in your area. They run in groups of 8-10 around here. Nothing is safe. If you don’t cover something at night, it will for sure be gone by morning. It makes it tough to have a pretty flower bed because they nibble it all down. Oh yes, covering up things is a must, and it works. Good to know you have a defense. I can’t wait to see these “in person”. The pictures are beautiful. Thanks, Sharon. Be sure to stop by soon. LOL, the poem reading with music is SOOO dramatic! Your daffodils look gorgeous. Still snowing here. That update is becoming so boring…. 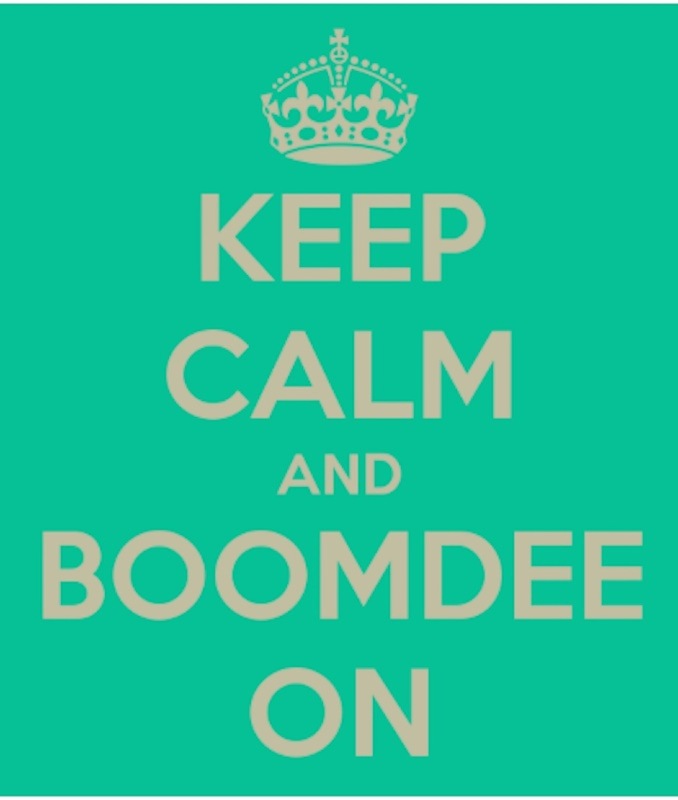 Thank you, Boomdee. I’ve really enjoyed this planter box. We can view it from the home office and the kitchen when indoors, and of course great viewing from the deck. I do see people take notice, so it is nice to see others appreciate it too. PS The yellow creeper is a Lysimachia ‘Goldii‘ It’s much brighter this year, too, more golden then lime. The hope is that it will tumble over the sides of the box and soften the edges. I don’t know all the names either. I wish I had studied botany instead of biology in college. That would have been far more helpful. I love the name Creeping Jenny. I’m officially renaming mine. I too love Daffodils. I remember a neighbor on the mountain who planted so many and they came back year after year popping their little heads up through the snow. We got snow through the end of May at least. Those sweet yellow heads gave us all hope. The squirrels never seemed to touch them there either but would eat everything else. :). I love your poem and music video. I have to sit down real soon and learn how to do that. Something else to learn. Yay! Marlene, what a memory. Daffodils are so hopeful, aren’t they, popping up through cold and snow and let us know that spring is indeed on the way. I was watching Jon Stewart the other night and he cracked about the “8 month winter”. I’m sure it must feel that way to a lot of people. The poem and video was not my own doing, but imbedded from a link on youtube. I can send you a quick tutorial if you are interested. That beautiful sunshine yellow is such a sight for sore eyes! (It’s snowing here again). Oh, darn that snow. This is the winter that never ends, it seems. Those bright yellow flowers are so cheering. It’s one of the happiest colors.